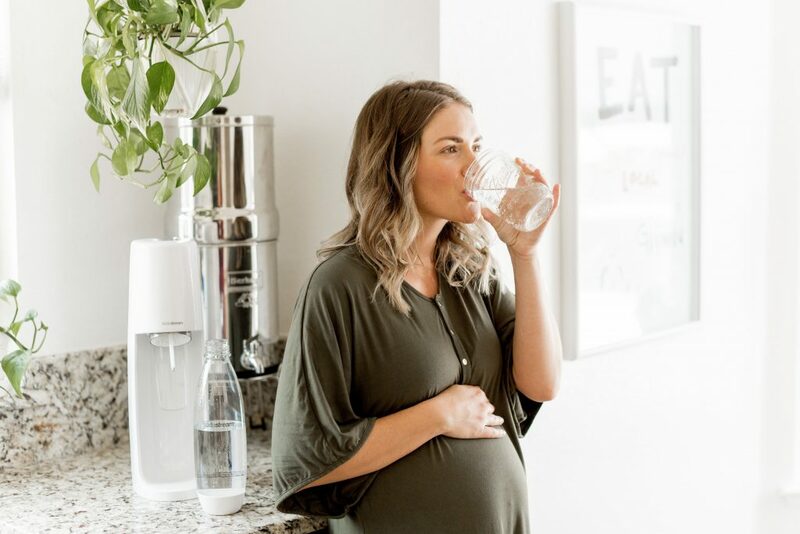 Avoiding Heartburn and Indigestion During Pregnancy- For Reals! At a point in one’s pregnancy, indigestion, reflux, heartburn, whatever you want to call it, becomes inevitable! As the weeks go on, and your tiny baby grows, your organs end up in place that most of don’t even know! Like…. my stomach USE to be here! The acidity of meals its self etc. A very common misconception with acid in the stomach, typically when you are burping “stomach acid” it’s actually your body crying out for help, that it needs more acid! Contrary to popular belief (and what many pharmaceutical companies say in advertisements), acid reflux symptoms are not caused by too much acid in the stomach. In fact, it is now believed by many that low stomach acid often causes symptoms. -Dr Josh Axe . Foods that are higher in acidity such as meat, cheese, etc require MORE stomach acid to digest. Mind blowing right?! Your stomach actually thrives in an acidic state. The major problem here is the insistence that excessive stomach acidity is the problem. Your stomach functions optimally when it is between 1.5 and 3.5 pH (an extremely acidic environment), and acid-blocking drugs can raise that pH somewhere around two points (a higher pH means a lower acid level). What’s the problem with that? PS Are you surprised, that I was surprised they worked?! I was truly skeptical about an anti-acid working BECAUSE of what I know about gut health. If you forget to drink ACV before a meal, or end up needing more, you can definitely drink during or after. It’s better than nothing! Sleeping with an extra pillow. THEN if allllllll of these things don’t work for you, I would find a dye free “TUMS” to have on hand. But I would really be shocked if you needed them after adhering to the recommendations above! **Please remember my disclaimer, that I am not a doctor, or medical professional. My posts are not to be interpreted as medical advice and you should not rely on or follow techniques on this site without consulting a medical professional. Also, the opinions, views, and experiences expressed here are entirely my own and provided for informational purposes only. They are not a substitute for advice from your doctor or health care professional.